This morning, she talked to Skunky and carried him around the house. 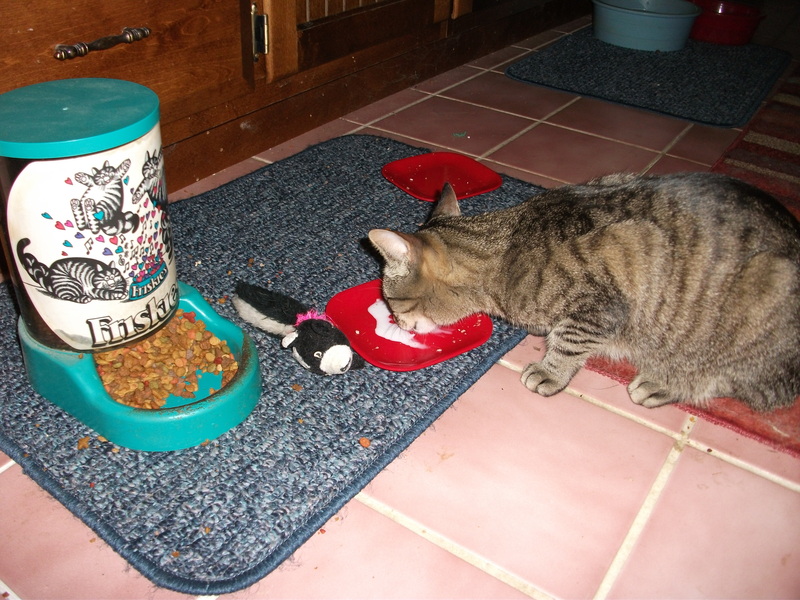 When it was time for ‘cafe au lait’ (minus the cafe), she brought him in to have some. I have got about six rows of squares to go on the second sock. I want to go on t o something else. It’s too hot to do anything big, so I’m thinking gloves. 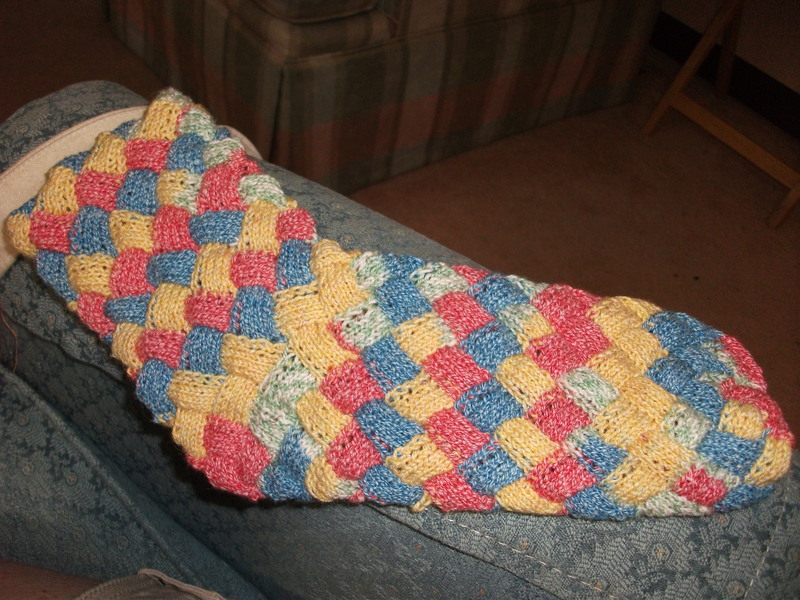 This entry was posted on July 6, 2010 at 12:49 am and is filed under Knitting, my pets. You can follow any responses to this entry through the RSS 2.0 feed. Both comments and pings are currently closed.